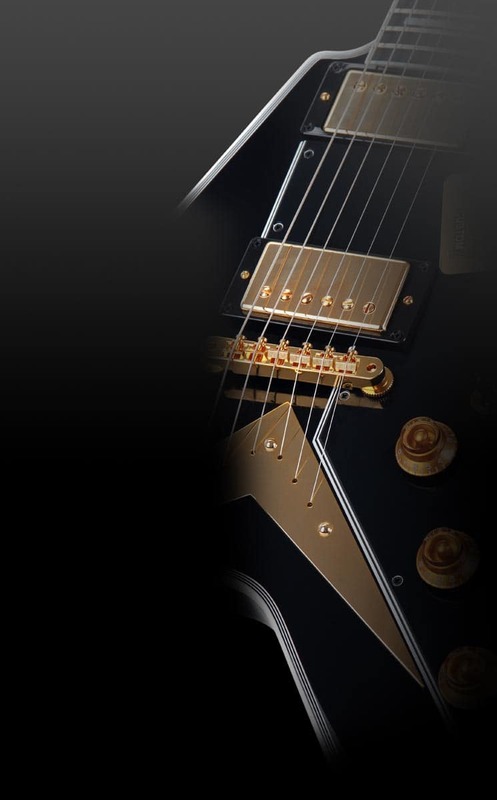 The new Deluxe Rocktile electric guitars of the Pro series stand out for their beautiful look and excellent craftsmanship. However they do not only resemble their great heroes of rock history formally, but convince especially with their outstanding technology. 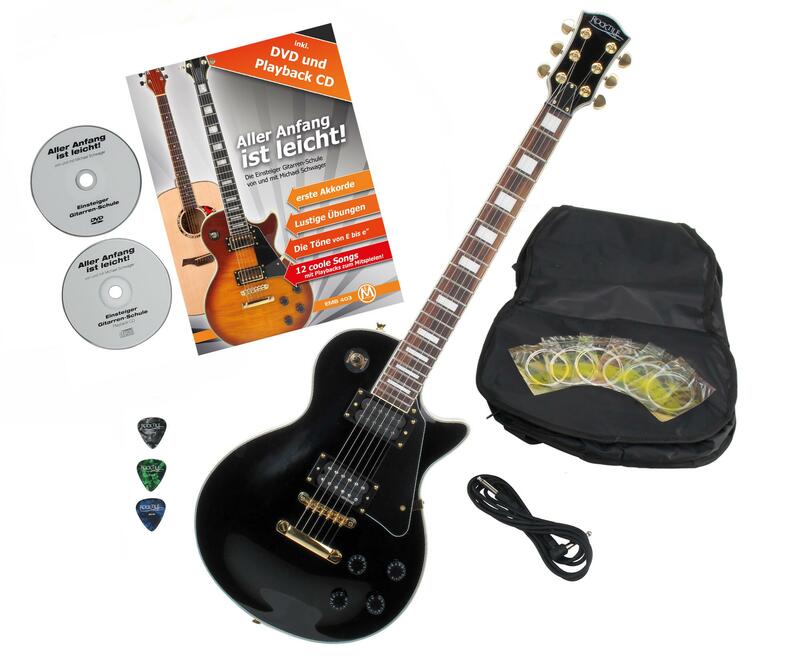 These classy and acoustically high end instruments are made of selected woods and are equipped with professional hardware so that they satisfy even high expectations. 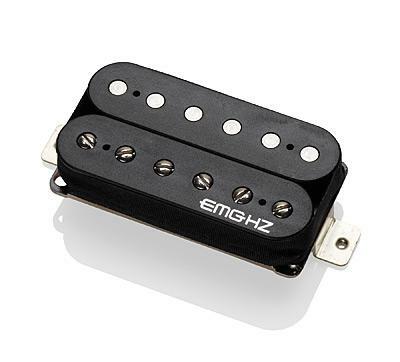 The EMC-HZ pickup guarantees first class sound that can't be matched within this price range. 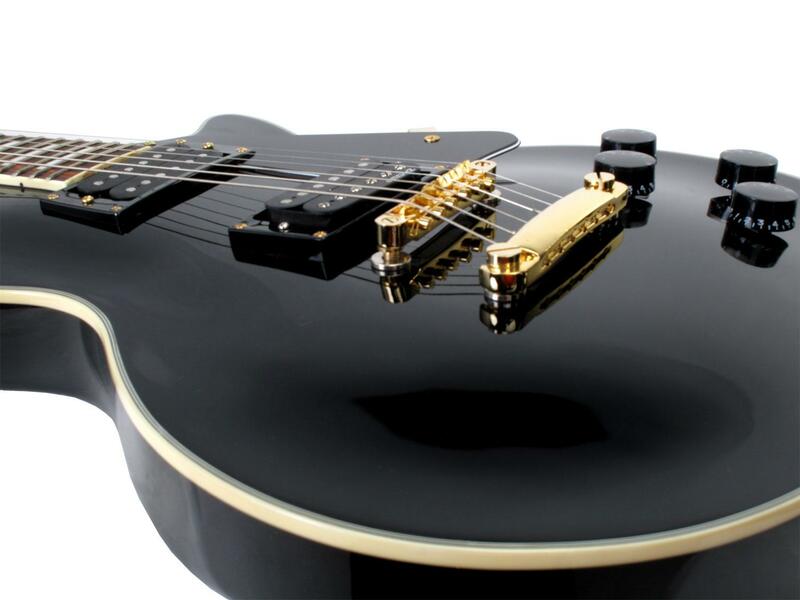 The LP-200BK Deluxe with its mahogany body in black high gloss finish and gold colored hardware also makes a strong optical impact. 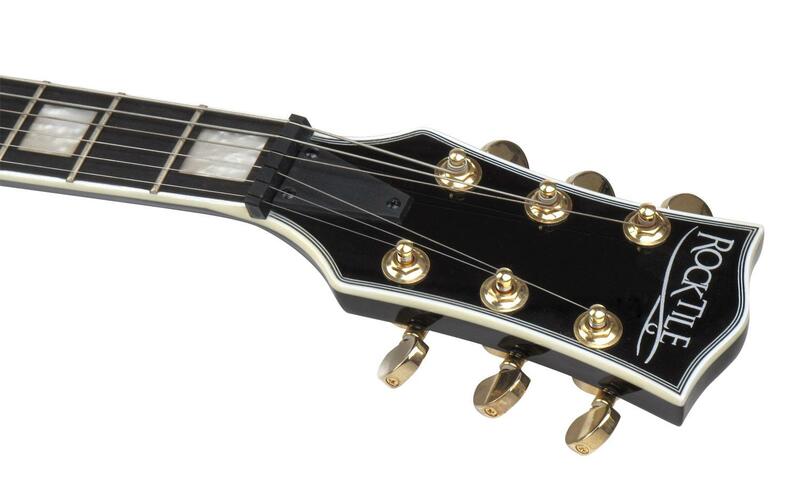 Here we're looking at an classy instrument that also takes no prisoners in terms of sound. 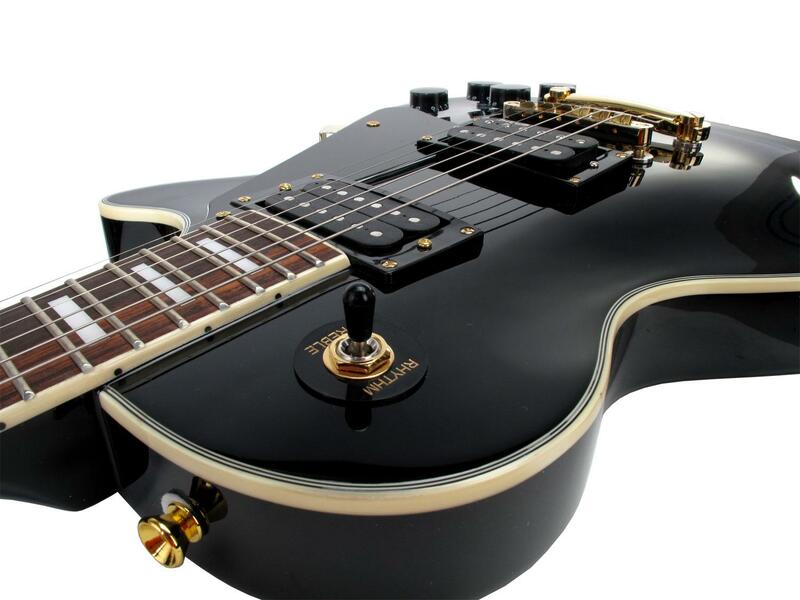 Even professionals are excited about the qualities of Rocktile Deluxe guitars – for beginners is the easy playability of the instruments is very helpful as it guarantees fast learning success. The connoisseur appreciates this one way or another! als Gitarren Neuling kann ich jetzt nich viel dazu sagen ... Aber sie sieht sehr gut aus . 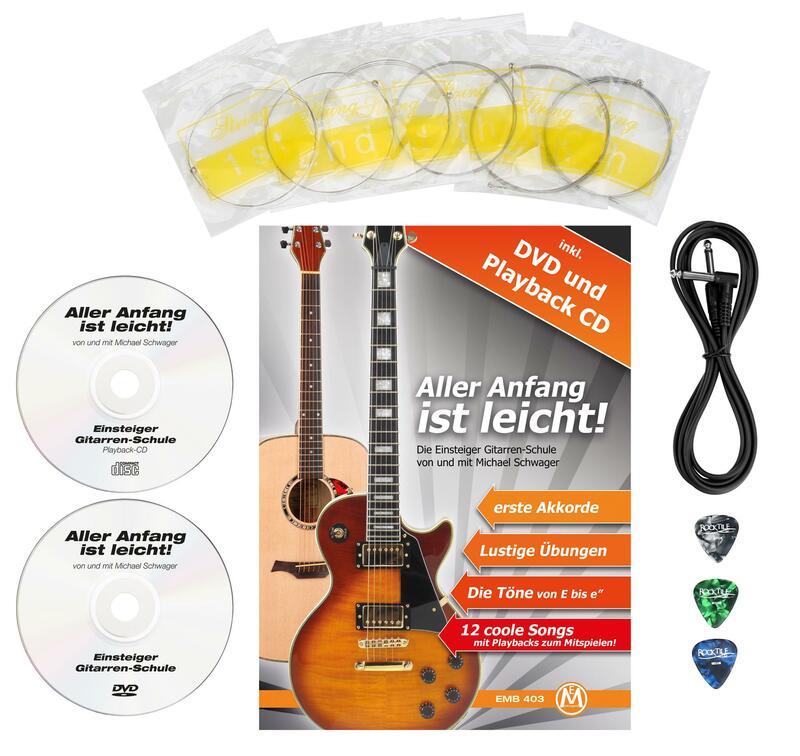 mit der Lern cd die dabei war , ist es auch leicht gemacht muss ich sagen .